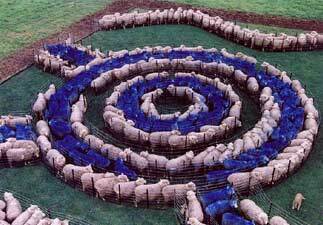 Blue Sheep was a pilot by the Geelong Arts Alliance for …such fertile ground… 10 October 1999. 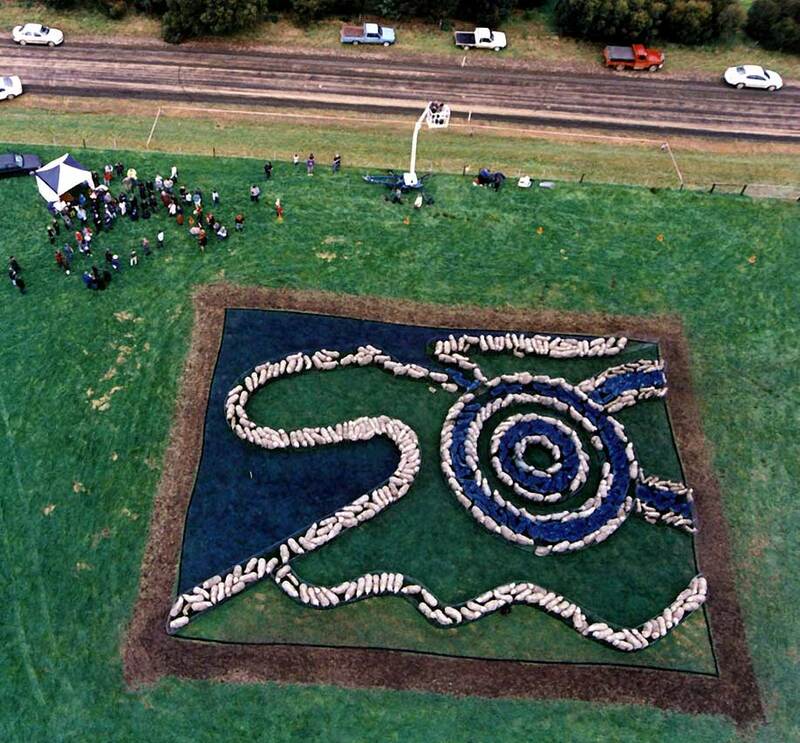 Blue Sheep was the first project by the newly formed Geelong Arts Alliance and also the first pilot of…such fertile ground… a statewide community art project initiated by Regional Arts Victoria. 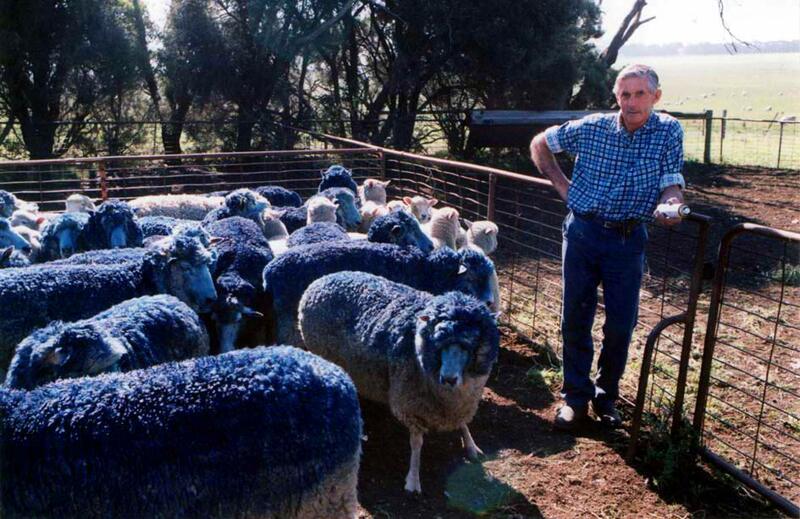 Blue Sheep was conceived as a temporary, site specific work inspired by Geelong’s industrial origins in the wool industry and incorporated the city’s iconic colours. Artist Glenn Romanis developed a design that was a map of the Geelong region/Wathaurong country, with its stylistic origins in the line work of traditional South Eastern Australian Aboriginal Art. Blue Sheep depicts the You Yangs, Corio Bay and the confluence of the Moorabool and Barwon Rivers. But the work also makes reference to contemporary concerns about environmental degradation caused by grazing and genetic engineering. Blue Sheep was recorded as an aerial photograph and reproduced as a postcard in a set of 12 such fertile ground images. 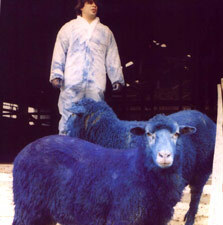 The Blue Sheep workers were supported by a Steering Group and a team of volunteers.